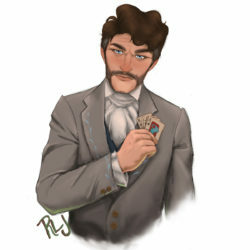 To save their show, eccentric illusionist Carthage & his fast-talking co-producer Huxley stake everything on a royal talent contest, vying for the privilege to perform at the Future Queen’s palace on Celestia. 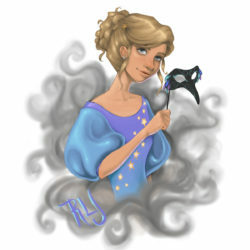 But secrets cloud this competition, casting a smokescreen of illusion, sabotage, and murder. As deceptions mount — even between co-producers — it becomes clear the outcome of this contest may be fatal. 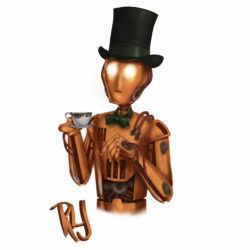 As the stardust-and-spark-powered Celestial Empire enters a politically tumultuous regency era, one industry booms like never before: show business! Aboard a star-fueled flying train, co-producers Sylvester Carthage & Arbrook Huxley boldly endeavor to bring their one-of-a-kind robotic roadshow to the farthest reaches of the empire. But surviving the glamorous and cutthroat world of entertainment – a world of magicians & moving picture stars, cardsharps & charlatans, bad reviews & blacklists – demands an uncommon grit and a particular guile. Luckily, our boys have those in spades. Set in a vast world of floating islands, The Celestial Isles is a new expanded universe of stories for fans of steampunk, science fiction, and fairy tales. The adventure begins in Celestial Isles #1, The Electrical Menagerie. Once shut-in by a childhood illness, Sylvester Carthage grew up with an affinity for stories and a powerfully childlike imagination - but an oftentimes dissonant relationship with the real world. An inventor and former street magician, Carthage is now the headlining star and master engineer of the Electrical Menagerie. A virtuoso of illusion, behind his effects lie a secretive spirit with desperate aspirations and hidden faults. Trusty, copper-bodied Dominic was the first electrical Carthage ever built, and he has been a loyal companion ever since. A former part of Carthage’s act, aging Dominic is now retired from the limelight to serve aboard the train as butler. Programmed with encyclopedic knowledge and an unflappable disposition, Dominic is an indispensable fixture to the Electrical Menagerie. Although he doesn’t always understand the mysterious ways of his flesh-and-blood companions, he’s continually observing to learn from them what it means to be human. 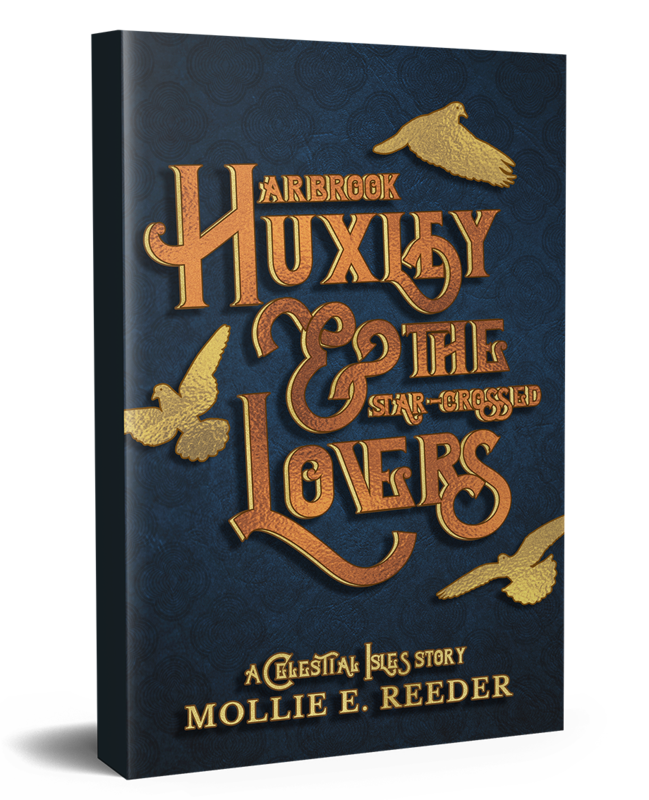 Talented young illusionist Andromeda Skyhawke finds herself entangled with the Electrical Menagerie when she goes head to head with Carthage & Huxley in the royal competition. Andromeda’s short and often difficult life as a young woman has forged in her a wry wit and a fierce determination, but pitted in rivalry against The Electrical Menagerie, Andromeda wavers. Is it a rivalry that spells the end of whatever simmers between her and the beguiling charm of Arbrook Huxley? 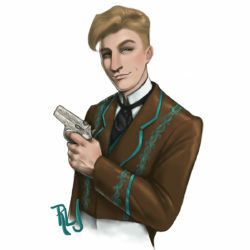 Arbrook Huxley, an important luncheon at the Ladies’ Club, and an unfortunate mix-up with a magician’s hat… what could possibly go wrong? 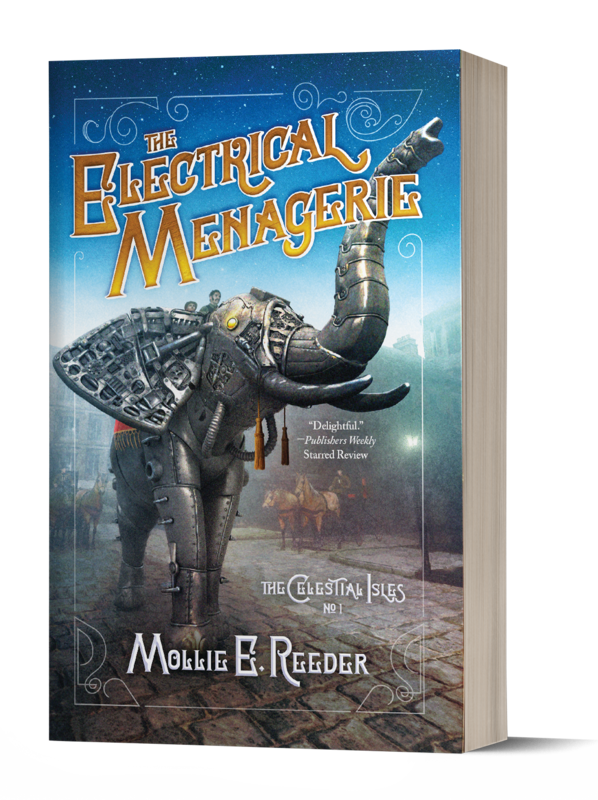 Claim your copy of this comedic novelette, which can be enjoyed before or after reading The Electrical Menagerie, for FREE! Join Mollie E. Reeder’s Facebook Reader Group! Mollie’s first job was with a major theme park, where she operated a roller coaster, fixed parade floats, and helped Scooby-Doo put on his head. Now, Mollie is a movie producer and the author of character-driven science fiction/fantasy novels for adults who never outgrew imagination. Her favorite things include Jesus, dinosaurs, and telling cinematic stories that blend glitter and grit. Follow her on Twitter @writeratops . Miss Reeder is thrilled that Misters Carthage & Huxley permitted her to recount their adventures to you, and thanks them for their cooperation throughout the publication process.